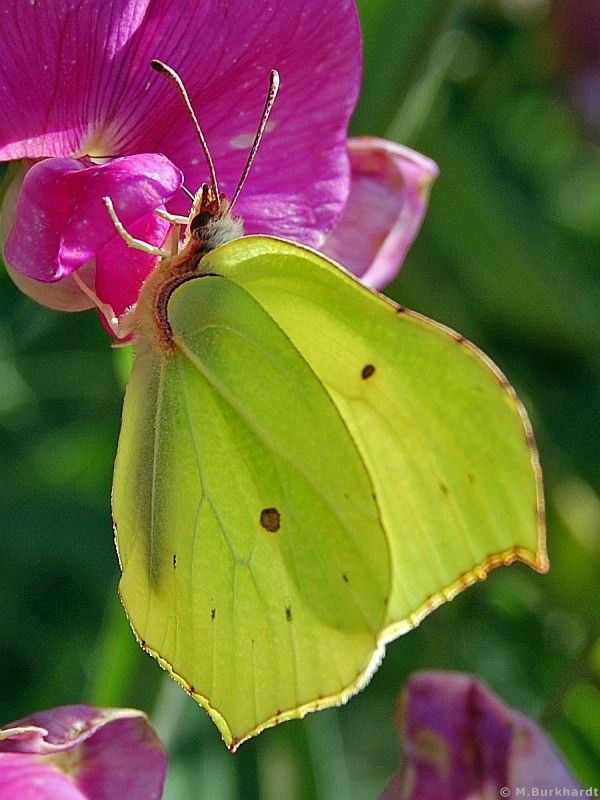 This is a male of the Common Brimstone (Gonepteryx rhamni) sitting on a bean-blossom. You can watch them in the spring and in a second generation in autumn. The males had yellow wings and the female pale light-green wings. You can find a female one here in the blog by pressing the 'previous'-link on the top.